Building Profiles have a range of aluminium casement hinges designed to be used when using friction stays is not beneficial. The advantage of using casement hinges over friction stays is they allow the window to operate smoothly and are better suited when using winding gear, folding openers and if the casement is a smoke vent. 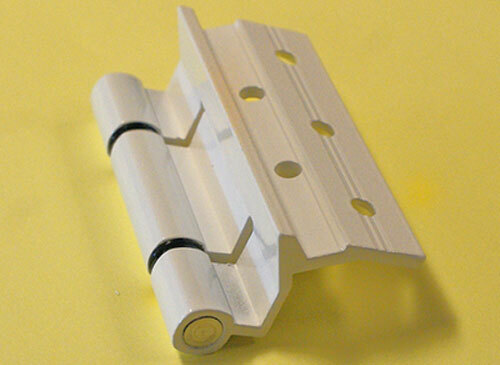 The Building Profiles range of casement hinges have all been successfully salt spray tested and are maintenance free. The RW17M and The RW20W will fit various aluminium/PVCu systems with a 13.5mm cavity. The RW18 has been designed specially to suit the AluK (formally Beauforts) Advanced Plus System.